There's no denying that the world is full of cruel, evil people capable of things you probably couldn't even imagine. We see it on the news pretty much every day. But believe it or not, there's a lot more good and kindness out there than you probably realize. 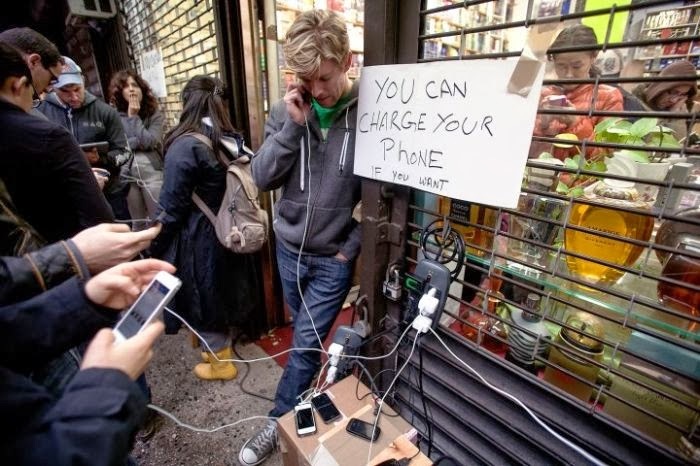 Sometimes, people do incredible things – things that restore our faith in humanity. 1. 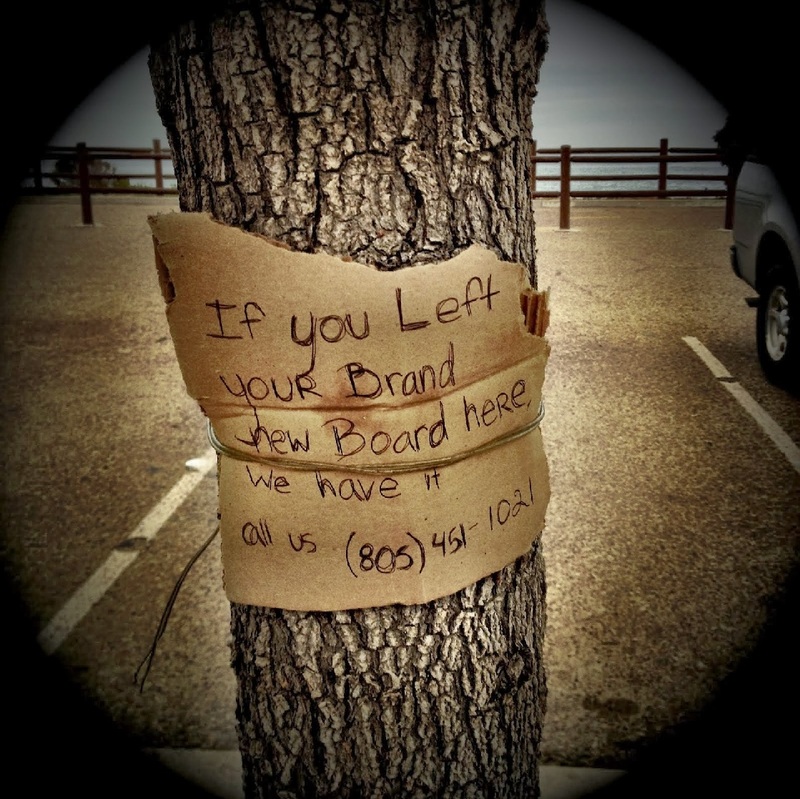 When some kids left this note to track down the owner of a forgotten skateboard that they could have easily stolen. 2. 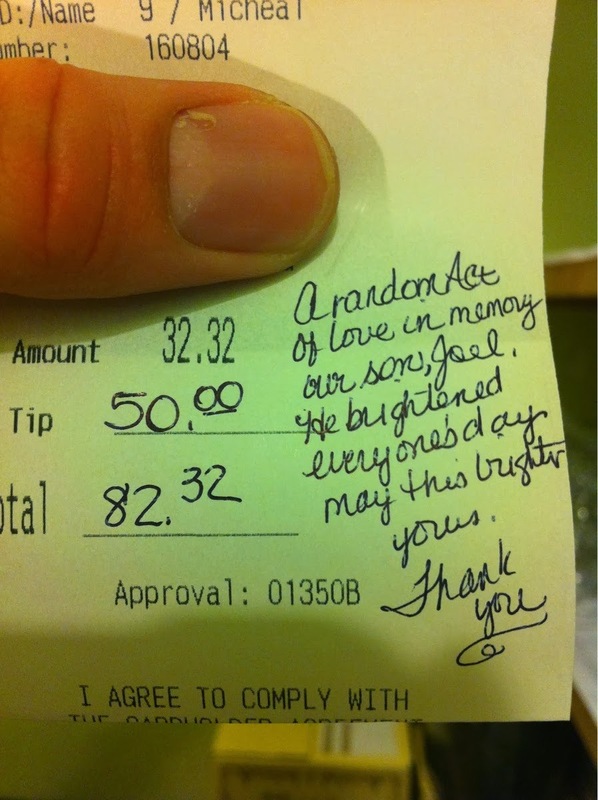 When these parents left a $50 tip in memory of the child they lost. 3. 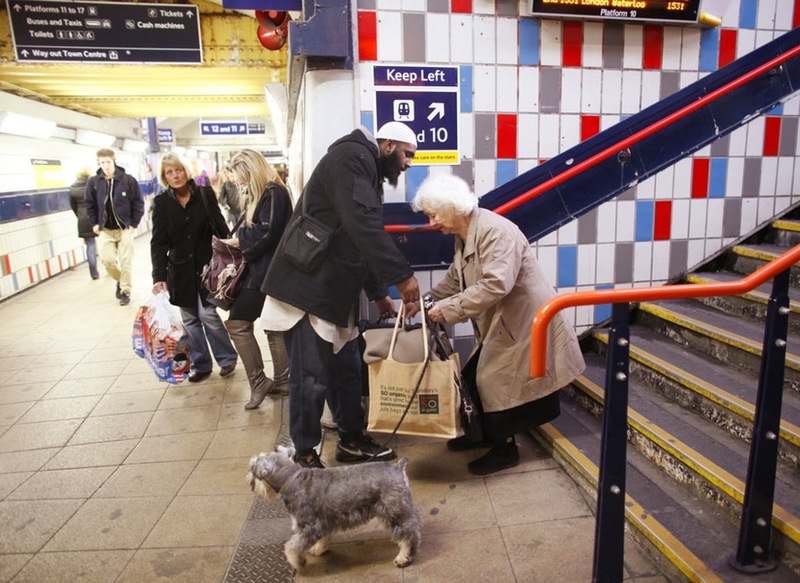 When this man stopped what he was doing to help an elderly woman with her bags. 4. 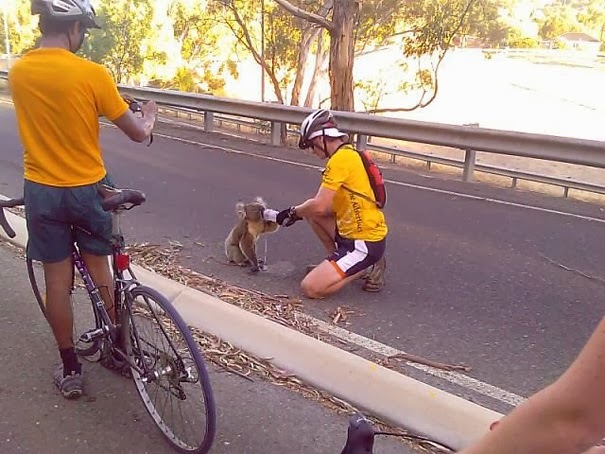 When this cyclist sacrificed his track time to give a Koala bear something to drink. 5. When these people, being the only ones with electricity in the neighborhood, shared their outlets so others could call their loved ones. 6. 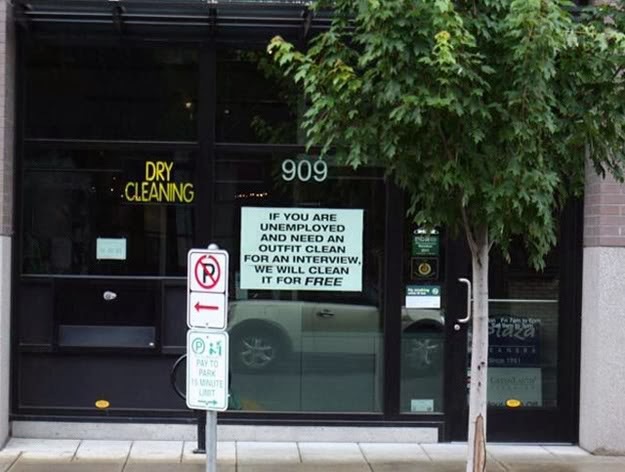 When this dry cleaner decided to offer their services to anyone in need – for free. 7. 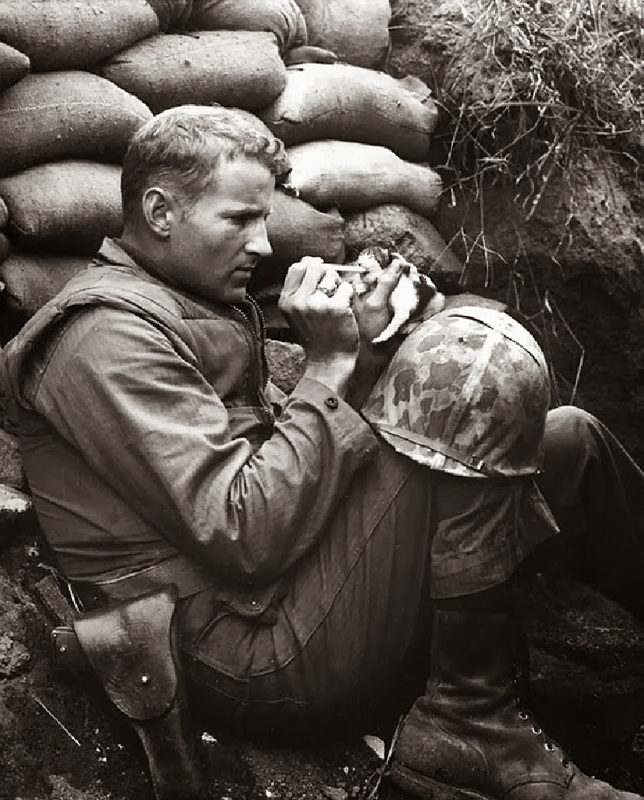 When this soldier, in the middle of life or death situations, stopped to take care of a kitty who wandered in the area. 8. 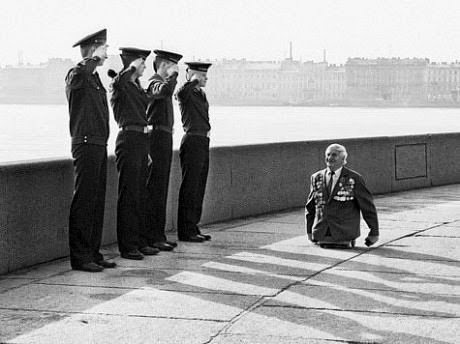 When this man who lost his legs in battle was saluted by 4 soldiers. 9. 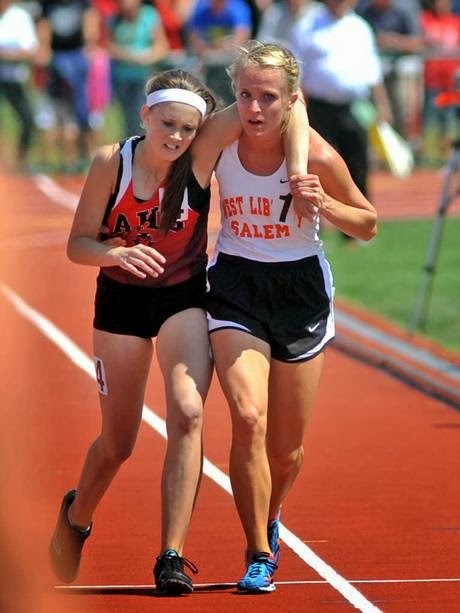 When this girl turned around during a race to help a girl who had fallen down. That girl was her opponent. 11. 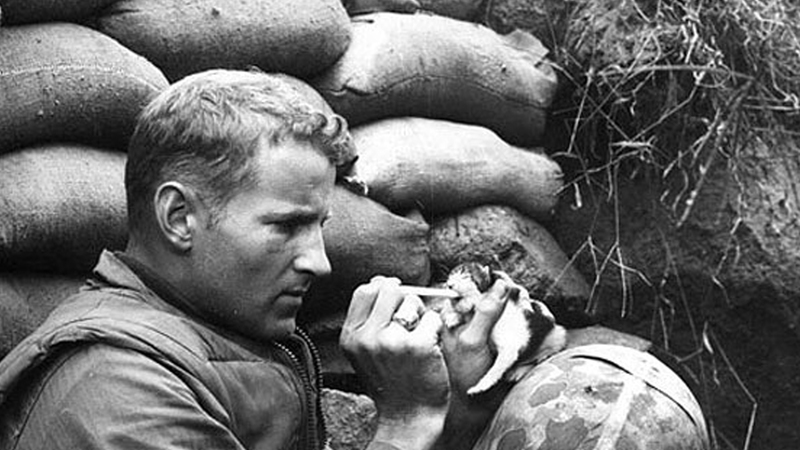 When this civilian brought something to drink to a soldier fighting on his own soil. 12. 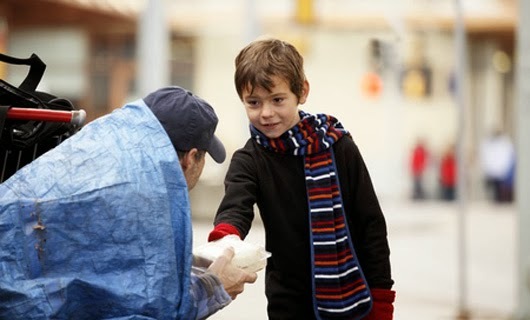 When this little boy brought a sandwich to a hungry homeless man on the street. 13. 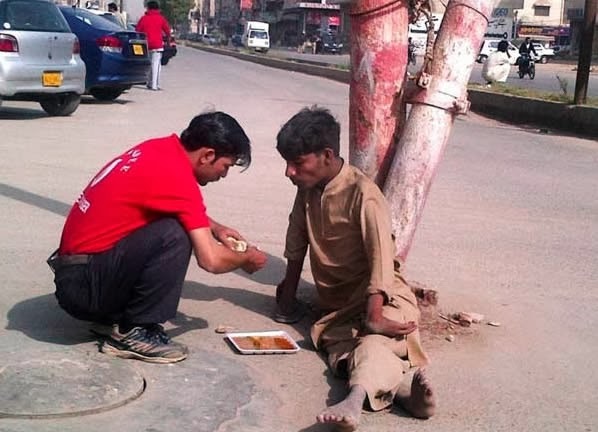 When this shop owner went outside to feed a disabled homeless man. 14. 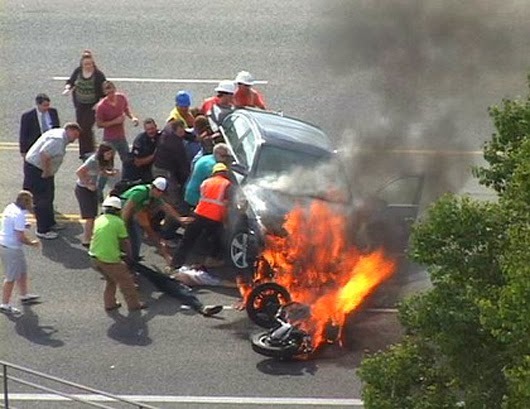 When these bystanders joined forces to literally lift a car off of a trapped motorcyclist. 15. 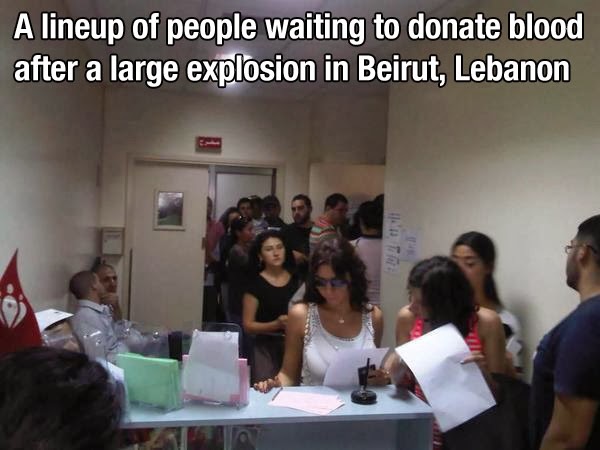 When these people waited in line for hours just to donate blood to those in need. 16. 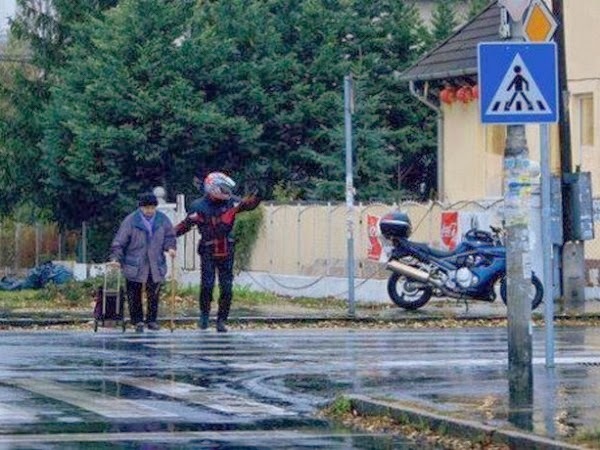 When this man got off of his motorcycle to halt traffic, so an elderly man could cross the street. 17. 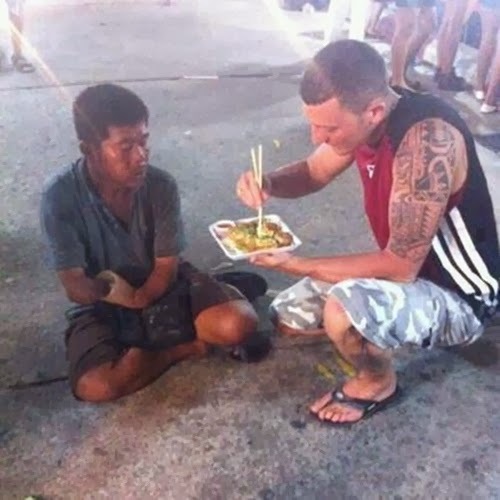 When this man not only bought food for a homeless guy missing an arm, but let him enjoy Japanese food that requires chopsticks by feeding him. 18. 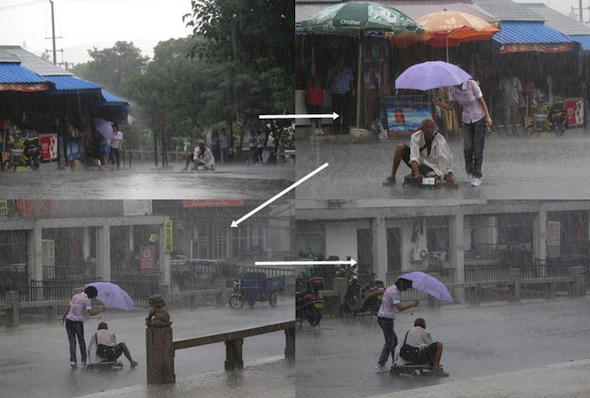 When this girl stopped what she was doing to give shelter to a disabled man in the rain. 19. When this little girl was visited in the hospital by her hero, Brian O'Driscoll. 20. 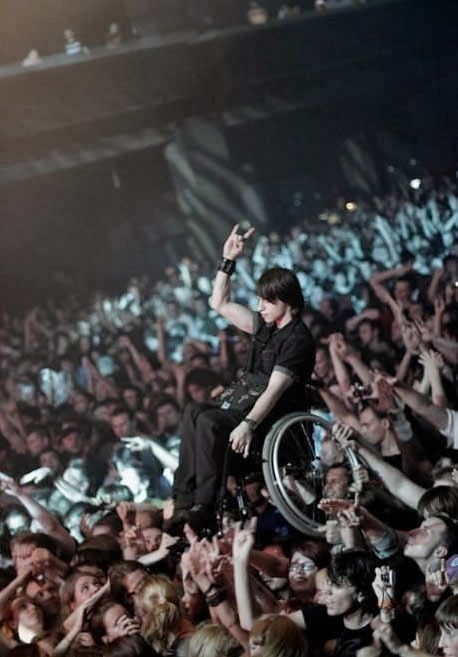 When this fan got to experience something he NEVER thought was imaginable due to his disability. 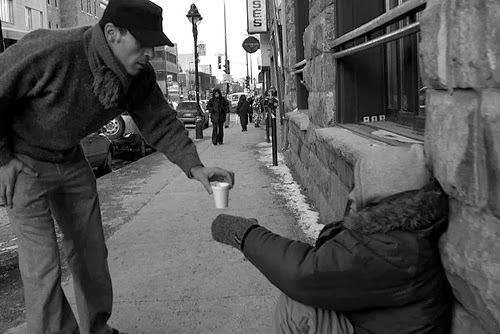 Kindness proved him wrong. If this brightened your day, restored your faith in humanity, or just gave you a smile – hit the Share button below to spread the good news.